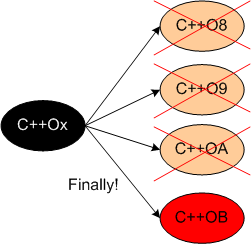 From what I know (which is very little), it looks like the C++0x programming standard will finally be released to the world as C++0B this spring. As part of preparing for this release, I recently listened to an interview with “Effective” Scott Meyers on Software Engineering Radio. 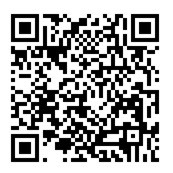 In case you find yourself bored, and with an hour of free time on your hands, check out my audio + notes pencast recording of the interview on the Livescribe smart pen site: here. (Clicking on the pic below won’t start the pencast in-situ. I haven’t figured out how to embed pencasts into this blog yet). If C++ is your programming language of choice and you haven’t followed the development of the new standard, now may be the time to start wading in? 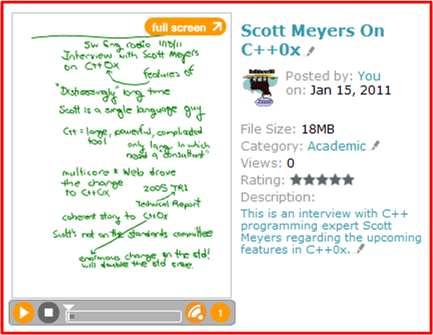 The Meyers interview, this excellent Wikipedia C++0x starter page, and Bjarne Stroustrup’s C++0x FAQ page may help.